Trash TV In Disguise – THE TEST Sneak-Preview EXCLUSIVE! A reporter from Hollywood Junket attended a recent taping of a new talk show called “The Test” scheduled to air in the Fall on the CW network in syndication in a daily one hour format. The new talk show is an interesting mix of “The Jerry Springer Show” and “The Maury Povich Show” (a.k.a. Maury). It’s host is actor and stand-up comedian Kirk Fox (Parks and Recreation). Through DNA testing or lie detector tests, this show offers its guests answers – weather they like them or not. Pictured: Teen Mom Farrah Abraham appears as a guest on THE TEST. During the set visit – Kirk enters the stage donning his signature thick-rimmed glasses, and a chic suit. He gives audience members a warm presence, and is easily likable. He looks like he could be one’s neighbor; someone that everyone wants at their summer barbeque. The stage is rather small, a large logo with “The Test” stands behind Kirk, and two orange chairs are centered in the middle. Kirk sits in one, and begins to discuss his upcoming guest. This one is a young, attractive, African American woman that came on to “The Test” to find out if her former best friend slept with her boyfriend while they were still in a relationship. Her former best friend came onto the show claiming she did not do this, and did have a relationship with her friend’s boyfriend after they were broken up. She also explained to Kirk that she asked her if it was okay if she began dating him, and her friend was fine with it. They ended up bringing the ex-boyfriend on, and he was a basket case of emotional problems. He had 33 children with 17 different women, claiming that he “likes to emotionally connect” with women. Audience members began looking at one another in confusion, one would think he would have considered a vasectomy after the 4th child, but he continued to reproduce. She also was angered, because her father told the audience she was a stripper, and that she was planning to return to the pole after she gave birth. She kept having outbursts saying, “I’m mad you told them I’m a stripper, what does that have to do with this?” This segment was both sad, and entertaining. His mother was sitting in the audience in tears, because she claims his emotional problems stemmed from her. There were people around her tearing up. Another guest came onto the show to find out if her on-again, off-again boyfriend of 12 years has been cheating on her. She called herself the “Beyonce” of the hood, and wanted to know why her boyfriend would not put a ring on her finger, and marry her. Her boyfriend entered the stage, sat down in the chair, and of course denied cheating on her. It was the traditional, “I want my five minutes of fame,” type of story that can be seen on Maury or The Jerry Springer Show one hundred times. “The Test” discusses serious issues like drug addiction, and alcohol abuse. It can strike a chord amongst viewers, however the people that watch television shows like this are not looking to shed some tears, they just want to be entertained. Television shows like Maury which has been on the air since 1991, remain popular due to their outrageous guests, and ability to make people laugh. 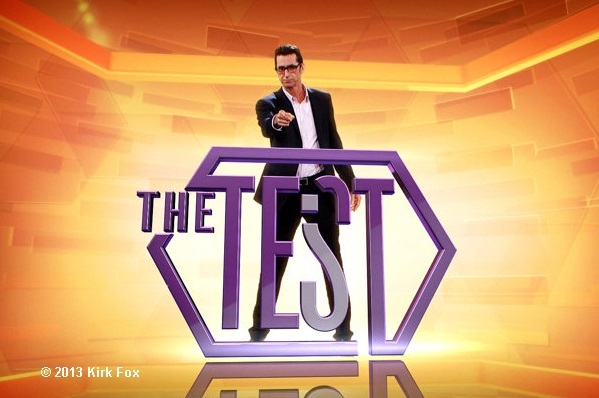 The serious topics of “The Test” features may not intrigue their primary demographic, because it falls into the same category as Maury and The Jerry Springer Show, which is trash TV. Trash TV serves one purpose to viewers, and that is to entertain. It was not meant to educate anyone on anything but “how not to act on national television”. The show tries to appear caring, with a desire to make the world a better place, however it is trash TV wrapped in a sweet, sugar coating.